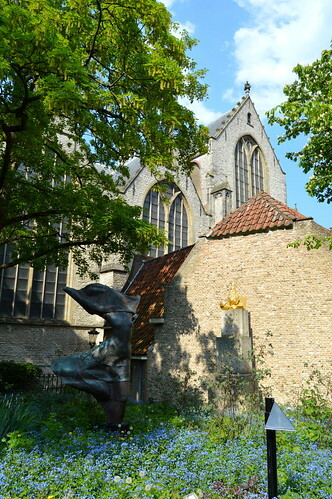 In the garden of the Gouda Museum. 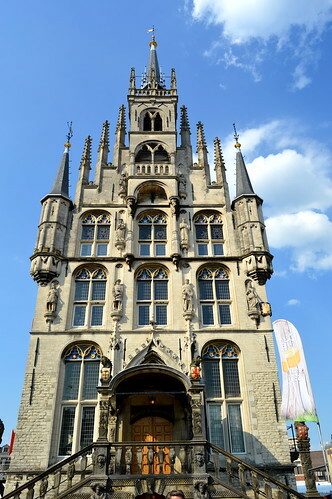 On our final day of our weekend break to Holland, we visited Gouda, the city of cheese. 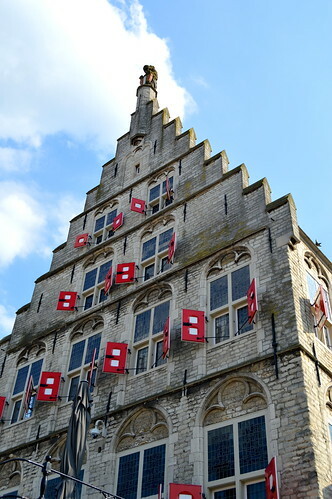 In this post you get to see lots of photos of this authentic Dutch town… Gouda, like many Dutch towns, has a rich history… and the history of Gouda revolves around cheese! 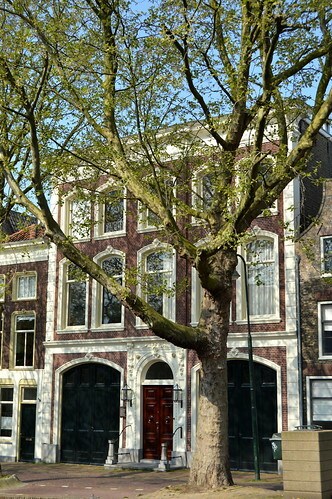 Gouda is a well-known Dutch cheese, sold around the world. I just love a sandwich with an aged Gouda… I could just eat that everyday!! 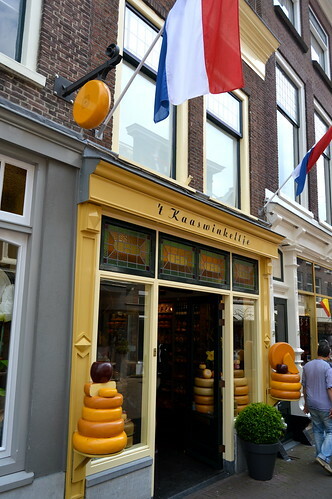 And to be honest, in our family we eat kilos of Gouda every year! 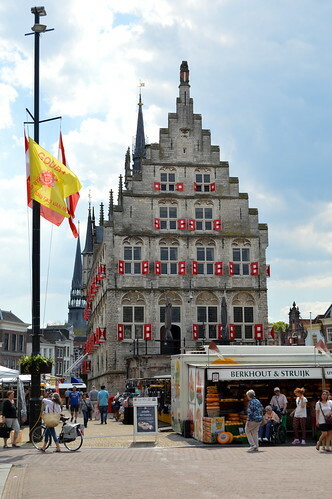 The cheese was traded in the town of Gouda, therefore it is called Gouda cheese. 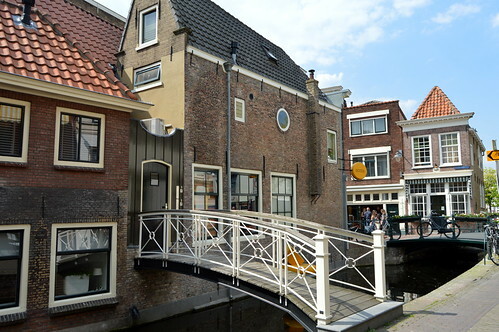 In the town itself there are a lot of cheese shops and even a cheese museum! And every Thursday in summer, there is a traditional cheese market. Find out more about this on the website! 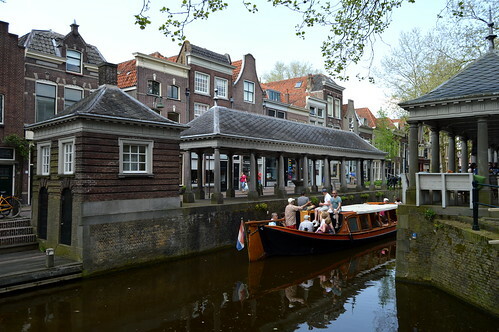 But next to it being the capital of cheese, it is just a lovely, historic and cosy town to walk around. We started with lunch in one of the many brasseries that can be found at the market place. We sat on a terrace overlooking the busy market day (sadly it wasn’t the traditional cheese market!) and we just soaked up the atmosphere on this hot and humid day. 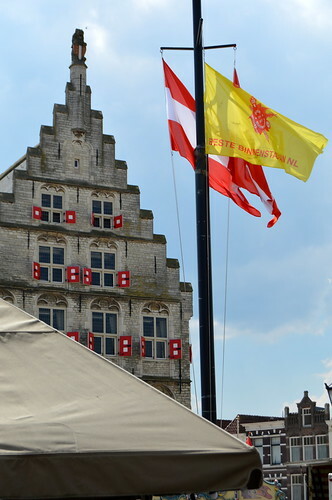 The Gouda Town Hall on the market place. After lunch, we decided to do a walking tour around town. 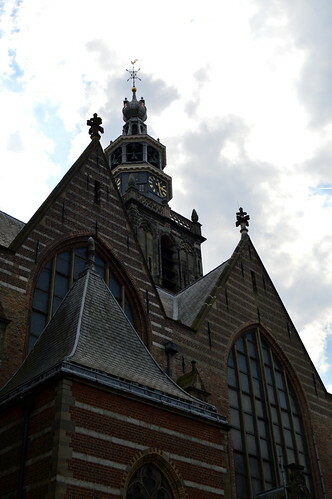 We started at the Waag, an authentic 17th century building in which the Tourist Information Office can be found as well as the Cheese and Crafts museum. 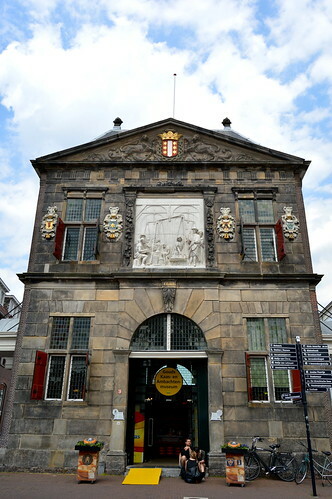 De Waag, now home to the Tourist Information Office and the Cheese Museum. 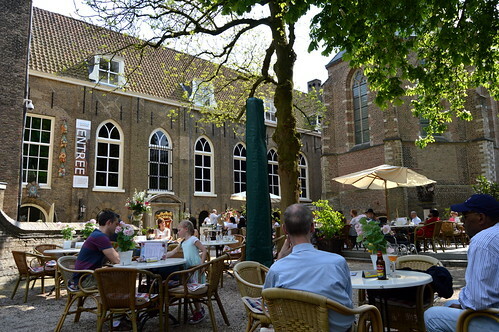 We criss-crossed through Gouda and in the garden of the Museum Gouda we sat down for a well-deserved refreshment. As we were only a couple of hours in this town, we decided to just stroll around so we didn’t visit this museum though. 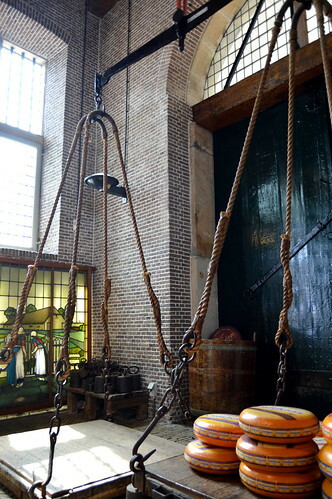 But apparently it is worth a visit with a collection of more than 40.000 objects, all depicting the history of Gouda. The garden is such a beautiful and tranquil place to sit down for a minute and so we did… It’s right under the shadow of the St-John’s church and in the garden are a lot of beautiful sculptures. Definitely recommended a visit! 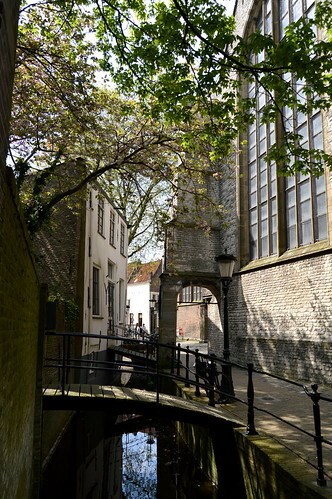 The best outdoor terrace in town… in the garden of the Gouda Museum! 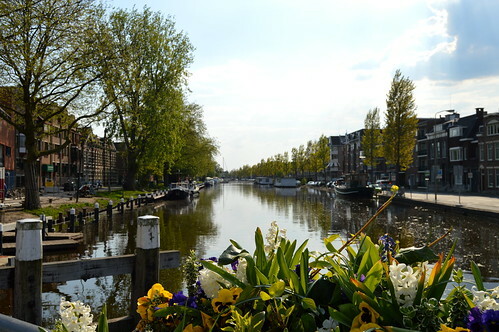 We continued our walk, crossing bridges and canals. Before heading home I bought some cheese as a present for my mum and dad (as a thank you for minding our 2 youngest kids). 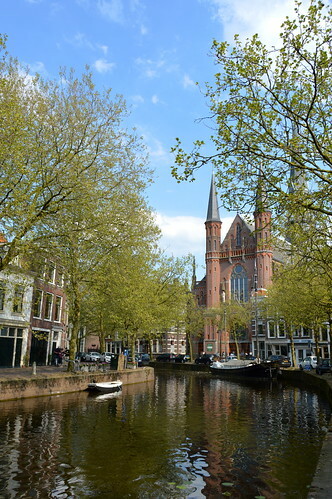 Have you visited Gouda already? Or do you know the cheese?! 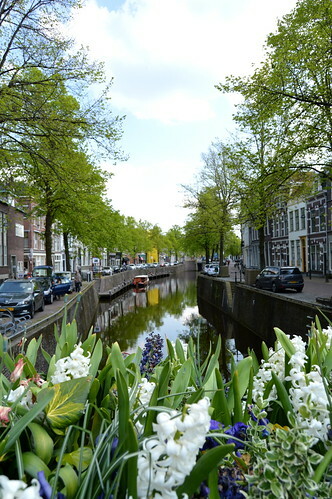 Here you can read about another beautiful Dutch town : Amersfoort! 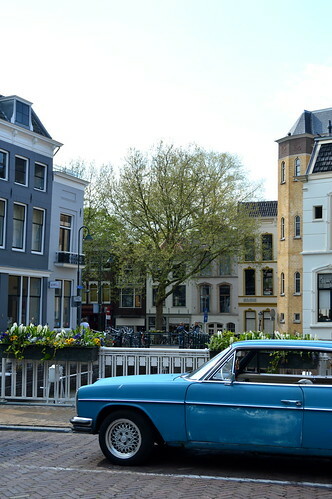 This entry was posted in Holland, Travel and tagged cheese, gouda, holiday, holland, tips 'n trips, Travel, weekend break. Leuk je verslag over je bezoek aan Gouda! Ik ben er geboren dus ik ben er opgegroeid met de kaas. En ja…eenmaal die kaas geproefd of mee opgegroeid…het verschil met andere kazen blijf je altijd proeven.Van Franse kazen ben ik nog niet zo’n fan…misschien mettertijd. *shame, shame, shame* Yeah probably one day! Have a lovely Sunday yourself! 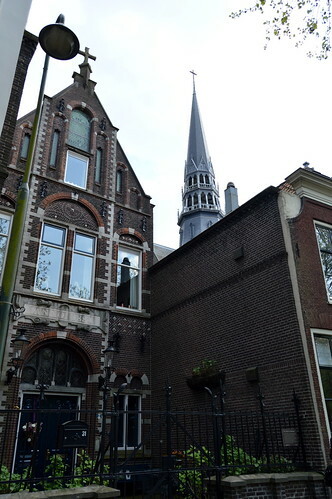 Weer een leuk verslag met prachtige foto’s Kathleen! 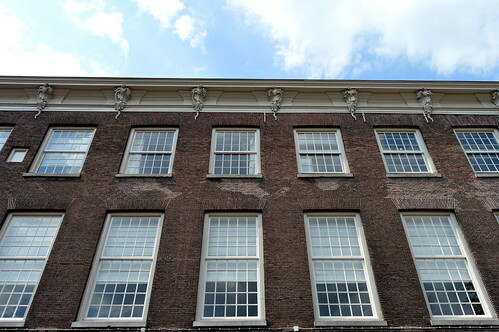 Wat een gezellig terras aan het museum, en ja kaas … lekker! Hey bedankt😄 Het was weer een gezellig stadje hoor… Groetjes! !